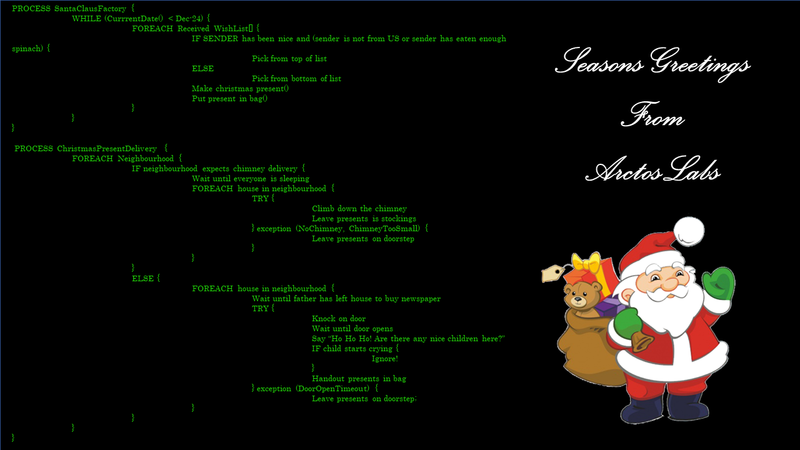 The virtualized Santa at Arctos Labs wants to wish everybody a Merry Christmas and a Happy New Year! We intend to make this piece of SW open source and engage a bigger community to contribute a more fair and efficient algorithm for managing of christmas presents. By applying virtualization technologies, Santa Claus can be expected to scale better as well as to be deployble in a centralize manner (in a data center), which would save on the reindeers and sledges that are needed in todays distributed setup. The virtualization approach also implies that the world could save Opex heavily, which is highly beneficial this time of year.